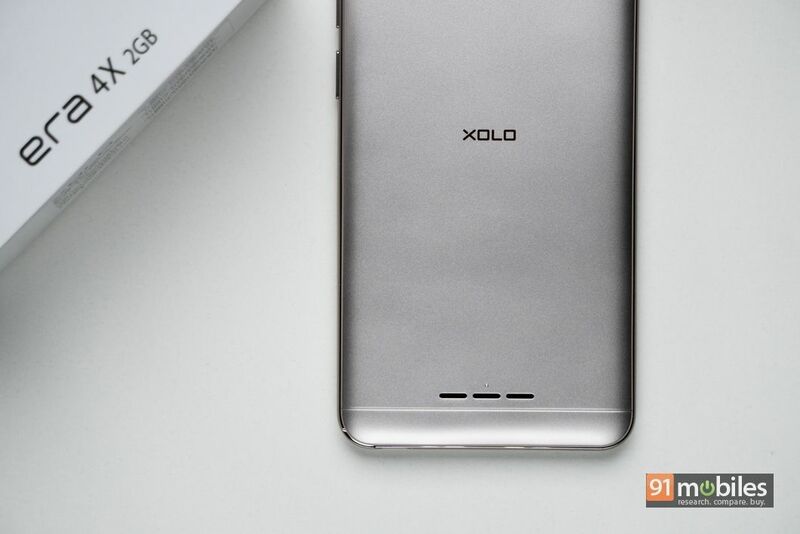 XOLO Era 4X unboxing and first impressions: scripting a comeback for the homegrown brand? 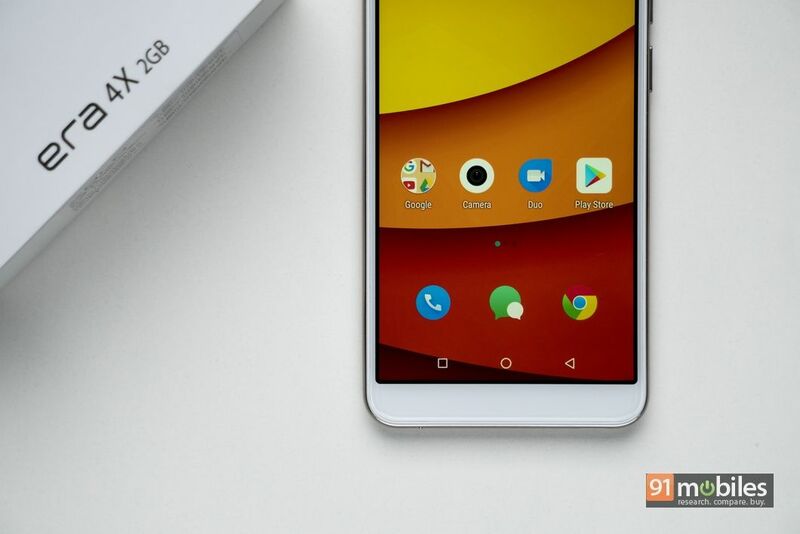 There was a time when you could clearly distinguish between an entry-level smartphone and a flagship or even a mid-range offering. 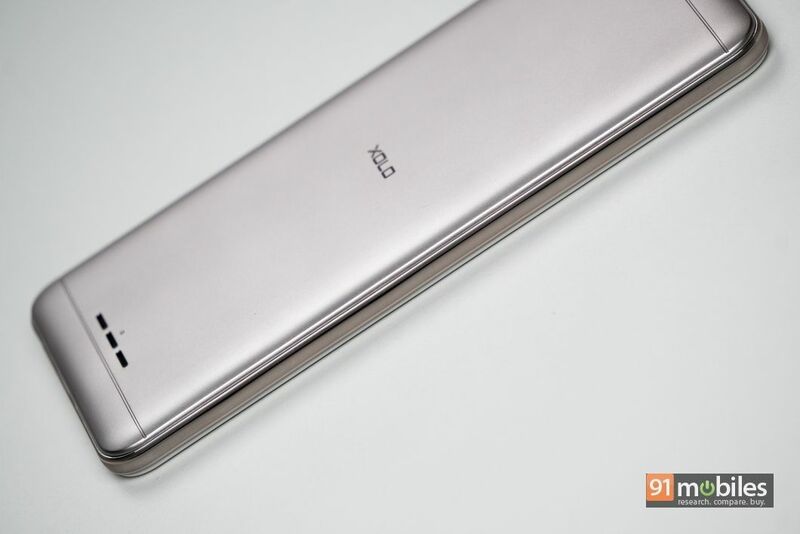 However, the line is fast diminishing with entry-level smartphones getting a better design, decent specs and cameras. 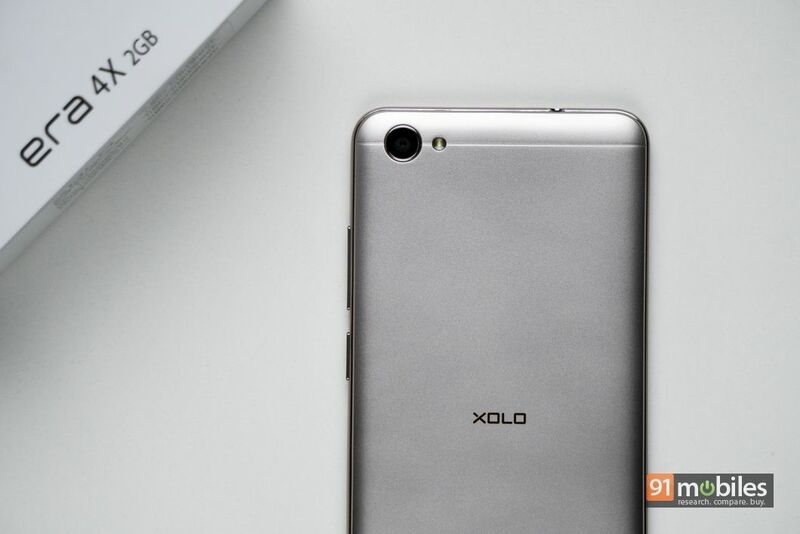 Speaking of imaging, back in 2017, XOLO launched a new selfie-centric lineup comprising a trio of smartphones – the Era 3X (first impressions), the Era 2V and the Era 3. It then went on a year-long sabbatical until today, when it launched the successor to the Era 3X, aptly called the Era 4X, in the country. The smartphone recently arrived in our labs and here’s how it fared in our initial usage. 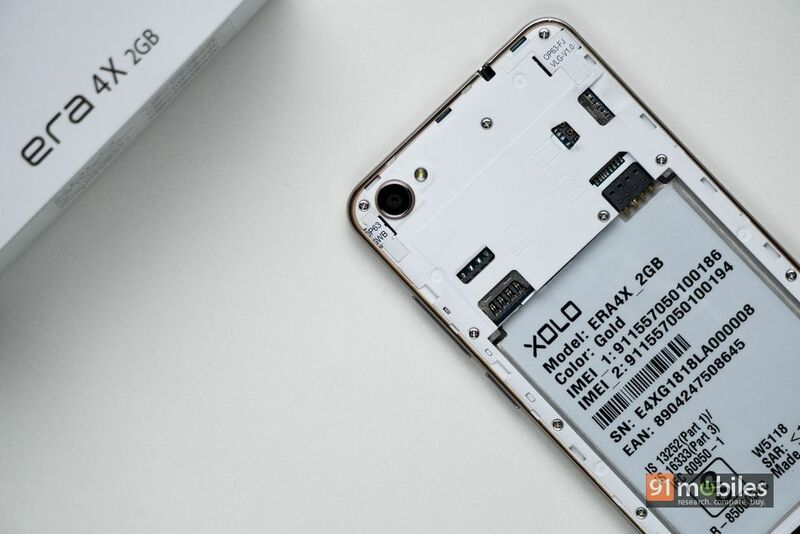 The XOLO Era 4X comes in a non-descript white box with a sheath over it featuring minimal branding all around and the picture of the phone along with core specs listed on the bottom. Upon lifting the lid of the box, you are greeted by the Era 4X lying atop an envelope, which contains a transparent protective case. Unfortunately, the brand doesn’t provide a screen protector or for that matter, even an earphone in the box. Below the tray, you’ll find a micro-USB cable and a wall charger. That’s all there is to the packaging of the XOLO Era 4X, and now let’s move on to the smartphone itself. The polycarbonate-clad smartphone has a confidence-inducing heft to it and offers a solid construction. However, the flimsy plastic back panel is removable to insert battery, SIM and microSD cards. 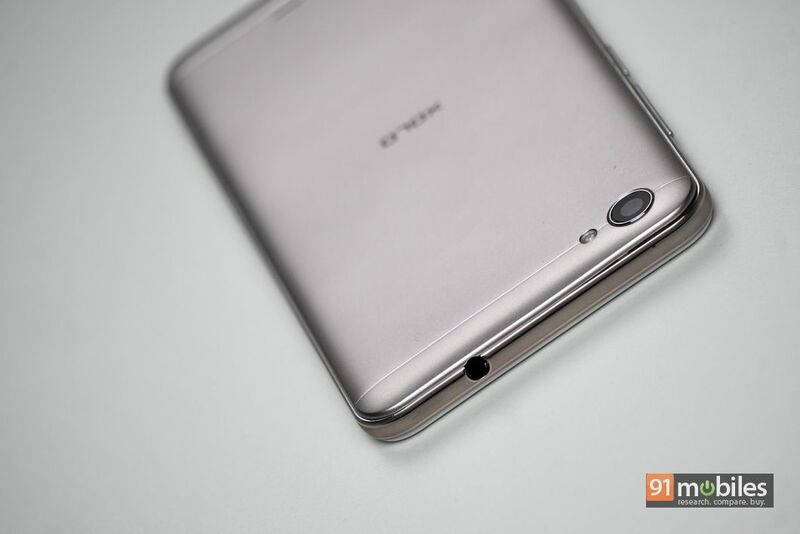 Interestingly, one of the SIM card slots accepts micro-SIM, while the other is compatible with a Nano-SIM. 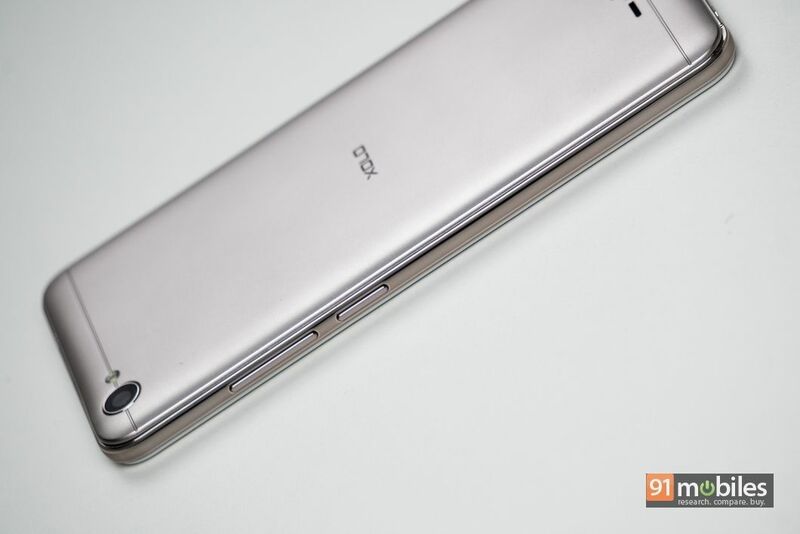 The volume buttons and power key is located on the right spine of the handset and are quite tactile. The 3.5mm audio socket and a micro-USB port are located on the top and bottom edges of the handset. 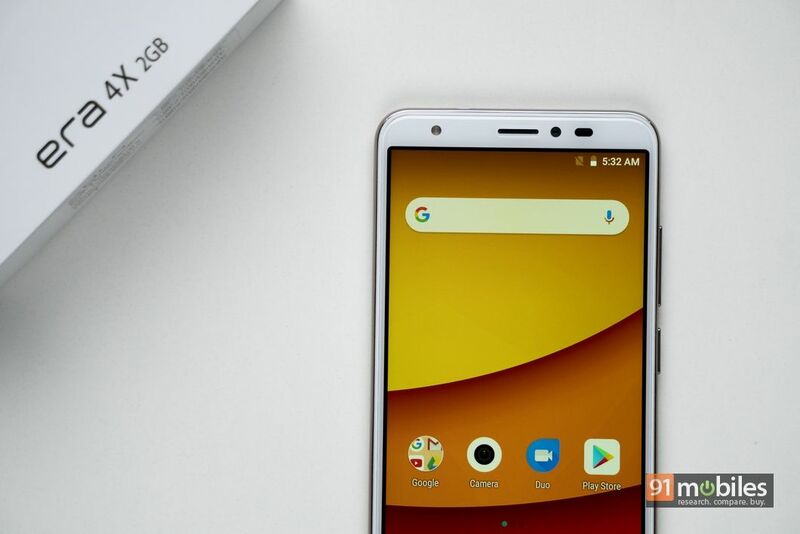 Further, the fascia of the handset is home to an 18:9 display, which has considerable bezels on bottom and top with selfie LED flash, earpiece, camera and sensors on the top. 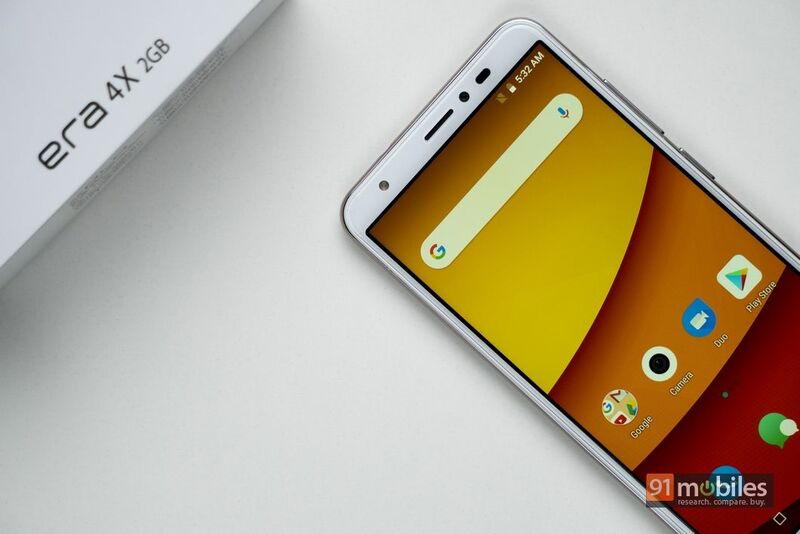 In terms of the display, the Era 4X comes with a 5.45-inch IPS screen featuring an HD+ resolution and a layer of Corning Gorilla Glass for protection. 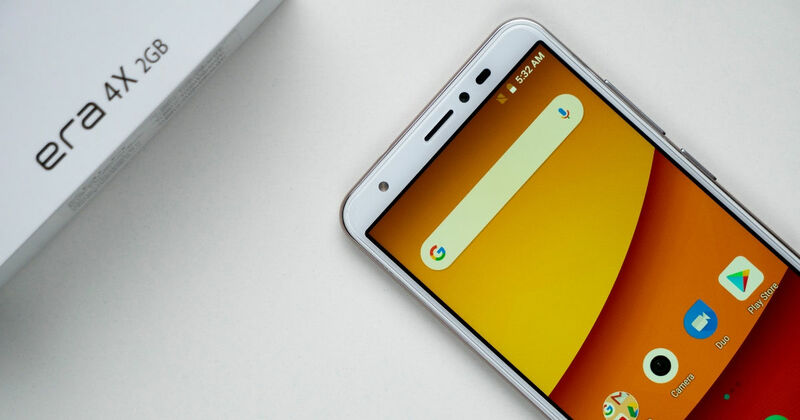 The display is pretty sharp and vibrant with decent viewing angles and sunlight legibility, which is all we can ask from an entry-level smartphone. However, if we have to nitpick, it’s worth mentioning that the display is quite dim even at the full brightness setting. The colourful interface of the Star OS 5.0 does look appealing, however. The custom skin runs atop Android 8.1 Oreo and comes with features like gesture support, face unlock, and near stock visuals. The software is loaded with a little bit of bloatware including third-party apps, which thankfully, can be uninstalled. 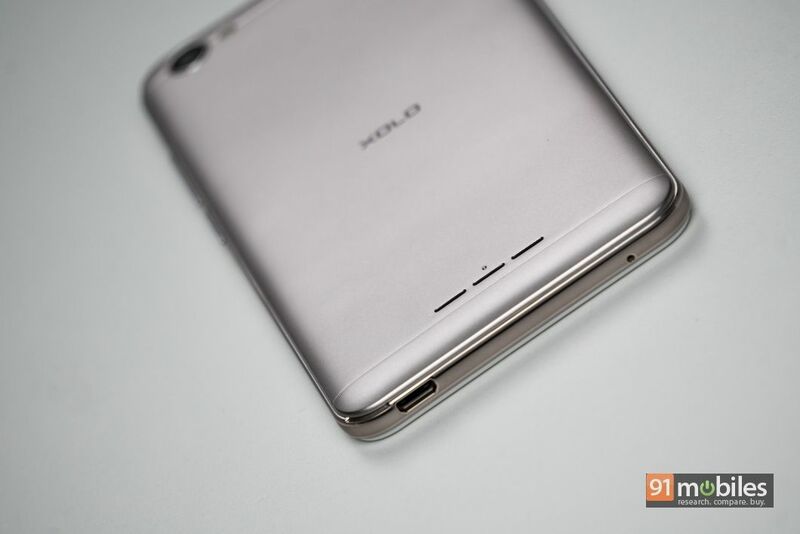 Moving on to the performance, the XOLO Era 4X gets a quad-core MediaTek MTK6739 processor with a clock speed of 1.5GHz. 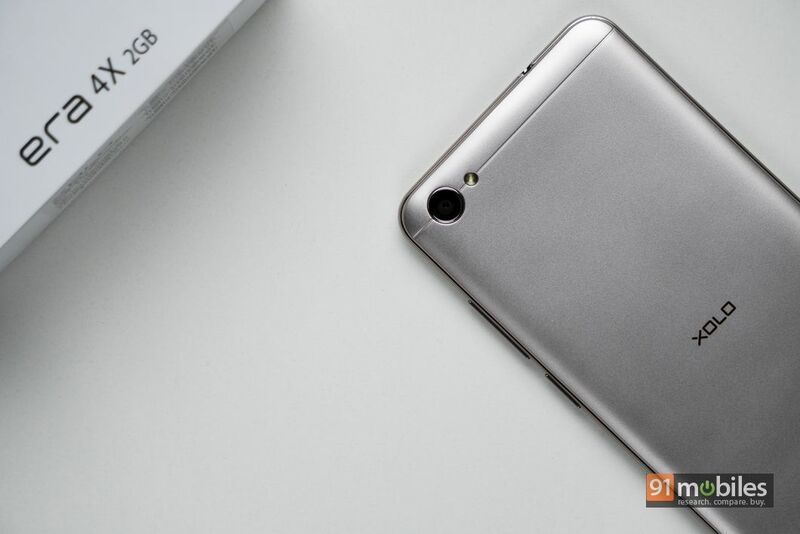 The smartphone is being offered in two RAM and storage variants 1GB + 16GB and 2GB + 16GB. We received the latter, which offers around 11GB out of the box. While the animations of Star OS are smooth, we did experience slight lag and stutter while moving between apps. The same was the case while playing games like Dead Trigger 2 and Shadow Fight 3. 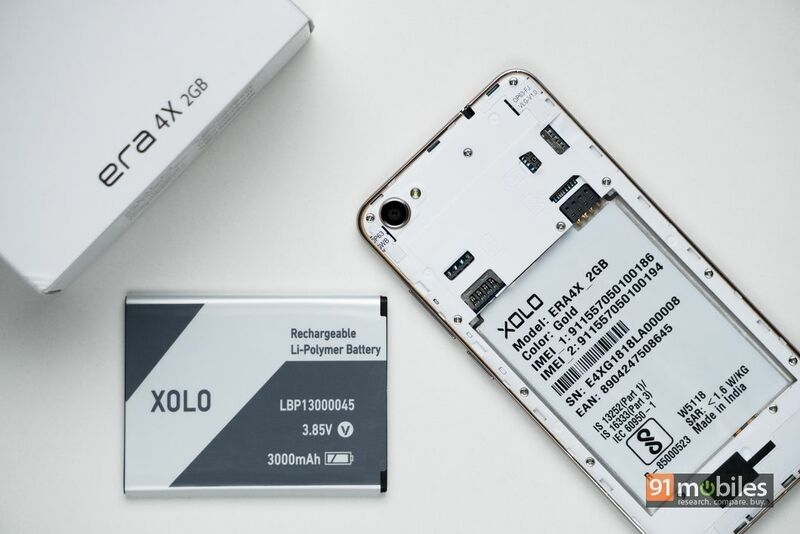 Powering the device is a 3,000mAh battery, which the brand claims can last up to one and a half days of usage. There is also an AI battery feature that reviews app usage and removes them from the background if not used for a long time. 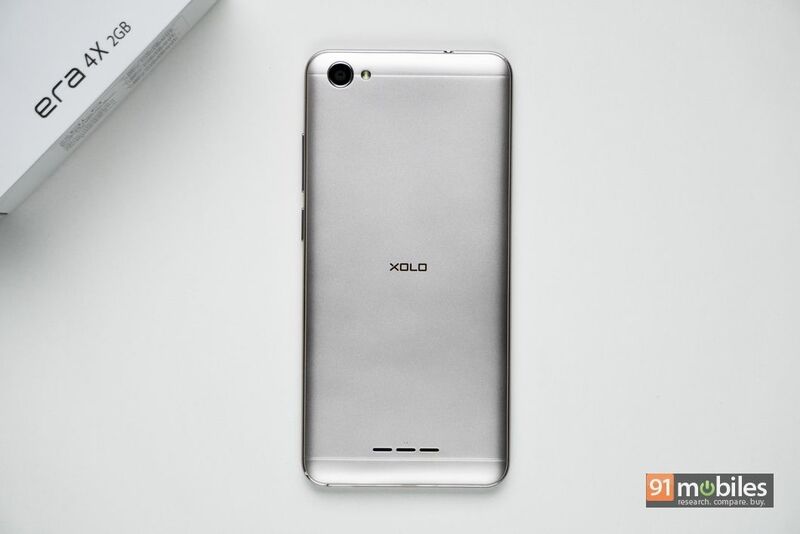 Coming to the cameras, the XOLO Era 4X has been equipped with an 8-megapixel shooter on the rear and a 5-megapixel selfie snapper on the front. The rear camera has been accompanied by an LED flash, whereas the front camera features a soft LED flash. The camera app comes with features like HDR, beauty mode, FunnyCam, Super Night mode, Video Beauty, time-lapse and macro among others. While all other modes work as advertised, we experience a little sluggishness while using the FunnyCam mode. With the starting price of Rs 4,444 for the 1-gig variant (the 2GB RAM model will set you back by Rs 5,555), the XOLO Era 4X is pretty value for money. However, that’s not to say that the phone wouldn’t face any competition. 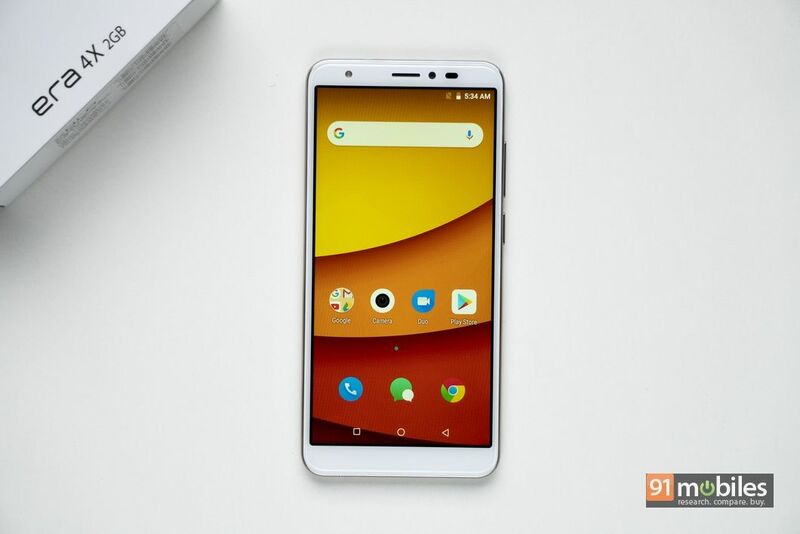 If you stretch your budget a little, you can opt for the Xiaomi Redmi 6A, which offers slightly better internals.